All invitation orders come with WHITE envelopes. 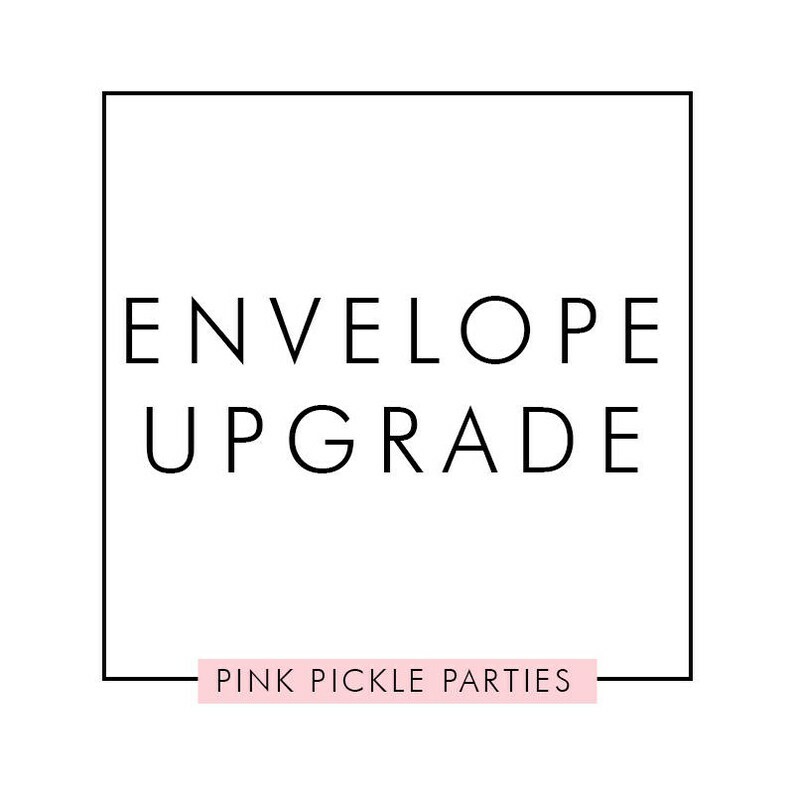 With this listing, you can upgrade to colored envelopes. :: All envelopes are 5"x7" square flap envelopes. :: See the other photo for envelope color options. :: Choose color from the drop-down box. 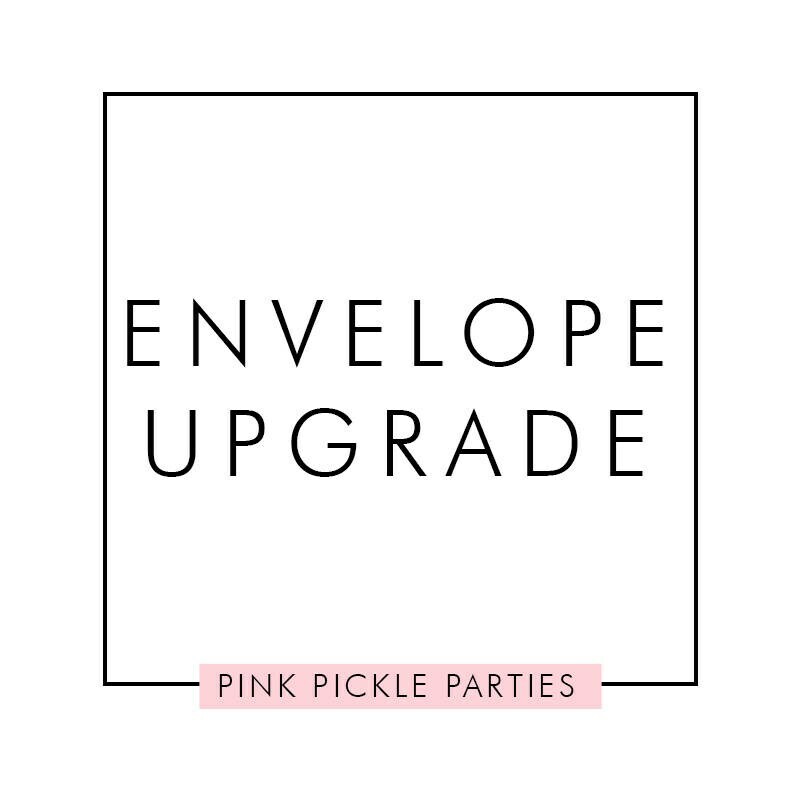 We do not sell just envelopes, it is only offered as an upgrade to your printed invitations. Your white envelopes will be replaced with the color you choose. Shipping in the US is free as long as they are purchased with your invitations. Absolutely perfect invitations for my kids dinosaur party! Even cute packaging that included candy! Shipped fast & great communication! Thank you! !